This trophy made by silversmiths Thomas Lyte is made up of Silver. 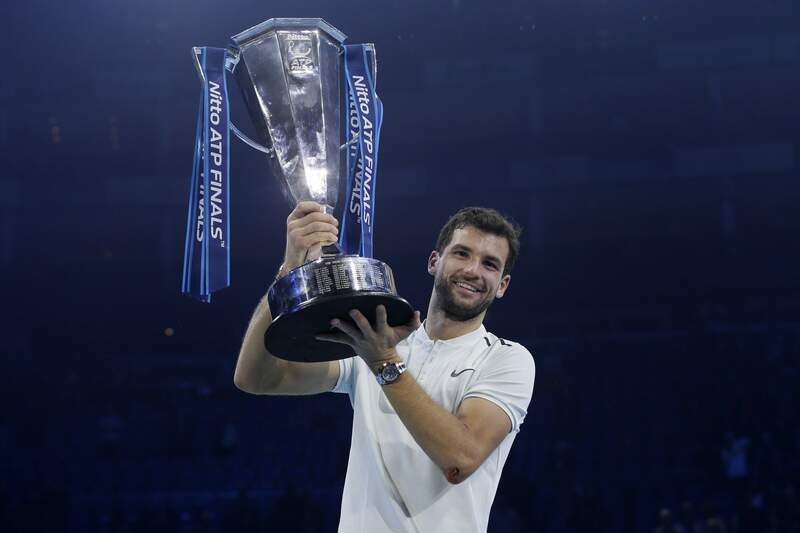 "Winners of major sports tournaments, such as tennis' ATP World Tour, are invariably rewarded with enormous silver trophies." 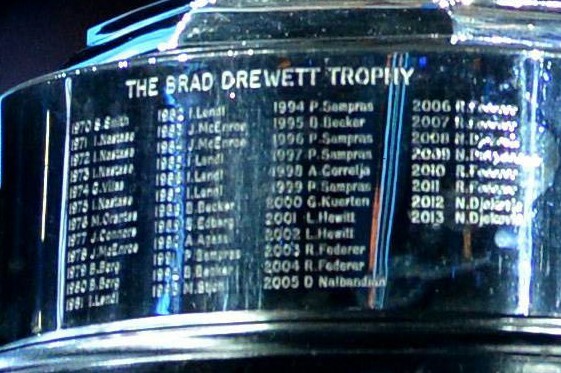 And the text written on it is "THE BRAD DREWETT TROPHY1" with previous year winners. 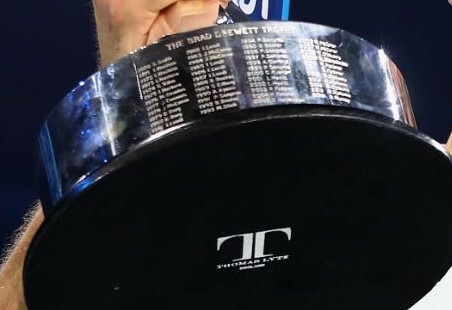 The trophy is named The Brad Drwett Trophy in honor of the ATP executive chairman and president Brad Drewett, who died from Motor Neurone Disease (also known as ALS or Lou Gehrig's Disease). Not the answer you're looking for? Browse other questions tagged trivia tennis atp awards trophy or ask your own question. What is the maximum number of 3 pointers made by Michael Jordan in a single game?